Stay ahead of the curve and get quarterly updates all year! 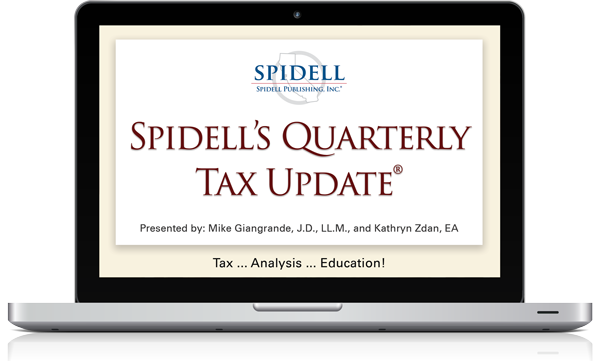 Get all the news you need to keep your clients current, as well as new tax planning strategies to minimize taxes under this giant tax law overhaul. Sign up today for all four of our topic-driven webinars and rest assured knowing you’ll get reliable and pertinent updates on trending tax topics. Order one session — or all four for a big discount. General tax preparation knowledge is required. 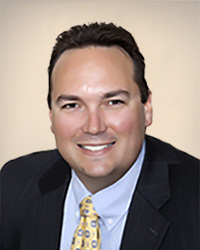 Mike Giangrande is a California licensed attorney, and has been a tax practitioner for over 15 years. He is licensed to practice before the United States Tax Court, has a B.S. in Accounting and an LL.M. (Tax) from Chapman University, and has a J.D. from Whittier Law School with a certificate of concentration in business law. Mike has spent time as an adjunct professor of law at Whittier Law School teaching various tax courses, he currently serves as a member of the Orange County Assessment Appeals Board, and he serves on the board of directors for two charitable organizations. Kathryn Zdan, EA, is Spidell Publishing’s Editorial Director. 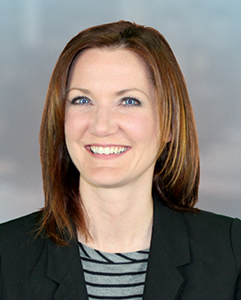 She writes and assists in research and editing articles for Spidell’s California Taxletter® and Spidell’s Federal Taxletter®. She also updates many of Spidell’s special reports. She has a master’s degree from California State University, Fullerton, and completed her undergraduate work at the University of Michigan. This webinar is designed to meet the requirements for 2 hours of continuing education. This webinar has been designed to meet the requirements of the IRS Return Preparer Office; including sections 10.6 and 10.9 of Department of Treasury’s Circular No. 230 (Provider No. CRA7E); the California State Board of Accountancy; the California Bar Association; and the California Tax Education Council. This does not constitute an endorsement by these groups. The State Boards of Accountancy have final authority on the acceptance of individual courses for CPE credit. For more information regarding administrative policies such as complaints or refunds, contact Spidell Publishing at 714-776-7850. Spidell Publishing, Inc. has been approved by the California Tax Education Council to offer continuing education courses that count as credit towards the annual “continuing education” requirement imposed by the State of California for CTEC Registered Tax Preparers. A listing of additional requirements to renew tax preparer registration may be obtained by contacting CTEC at P.O. Box 2890, Sacramento, CA 95812-2890, or by phone at 877-850-2832, or on the internet at www.CTEC.org. Spidell Publishing, Inc. is registered with the National Association of State Boards of Accountancy (NASBA) as a sponsor of continuing professional education on the National Registry of CPE Sponsors. State Boards of Accountancy have the final authority on the acceptance of individual course for CPE credit. Complaints regarding registered sponsors may be submitted to the National Registry of CPE Sponsors through its website: www.nasbaregistry.org. This webinar has been designed to meet the requirements for the specified number of hours of continuing education for the California Board of Accountancy. Level: Update. Fields of Study: Taxation. Delivery Method: Self-Study. For more information regarding administrative policies, such as complaints or refunds, contact Spidell Publishing at (714) 776-7850. General tax preparation knowledge is required. Inside Basis, Outside Basis — Does it Matter?